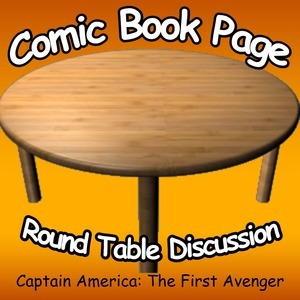 John Mayo, of ComicBookPage, and Kay Kellam, of PopArtsPlace, have a spoilers filled discussion about the Captain America: The Winter Soldier movie. This entry was posted in Movie, Podcast, Podcasts, Review and tagged ABC, Agents of SHIELD, Angie Martinelli, Avengers, Batman, Bridget Regan, Captain America, Chad Michael Murray, Daniel Sousa, Dominic Cooper, Dottie Underwood, Edwin Jarvis, Enver Gjokaj, First Avenger, Hayley Atwell, How I Met Your Mother, Howard Stark, Iron Man, Jack Nicholdson, Jack Thompson, James D'Arcy, Jarvis, Lyndsy Fonseca, Marvel, One Shot, One Tree Hill, Peggy Carter, Roger Dooley, S.H.I.E.L.D., Shea Whigham, Sousa, Stark, Tony Stark on February 27, 2015 by Kay. This entry was posted in Movie, Podcast, Podcasts, Review, Television and tagged ABC, Agents of SHIELD, Angie Martinelli, Avengers, Bridget Regan, Captain America, Chad Michael Murray, Daniel Sousa, Dominic Cooper, Dottie Underwood, Edwin Jarvis, Enver Gjokaj, First Avenger, Hayley Atwell, How I Met Your Mother, Howard Stark, Iron Man, Jack Thompson, James D'Arcy, Jarvis, Lyndsy Fonseca, Marvel, One Shot, One Tree Hill, Peggy Carter, Roger Dooley, S.H.I.E.L.D., Shea Whigham, Sousa, Stark, Tony Stark, Young and the Restless on February 20, 2015 by Kay.